Gozitans will start receiving mental health support in the privacy of their homes after the President’s Trust identified a gap in assistance and roped in businesses to fund this project. The Trust has secured €90,000 to ensure this home support service, being provided in collaboration with the Richmond Foundation and the Mental Health Association Gozo, can run successfully for the first three years. 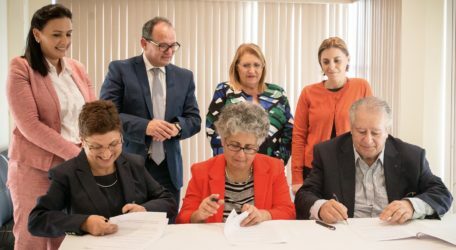 A tripartite agreement has just been signed specifying how the Mental Health Association Gozo will refer clients while the service will be provided by the Richmond Foundation, which has been providing a similar service in Malta for the past 20 years. Twenty families, who if supported by this project could cope better with their illness and do better in school, have already been identified by schools and will start benefiting from this service. Meanwhile, another 10 families who live in the community have asked for help to prevent relapses and readmissions into hospital. “We want to reach out to families who find it difficult to go to hospital for support because of the associated stigma,” Ms Bondin said. Set up in 2015 by President Marie-Louise Coleiro Preca, the Trust brings together renowned and experienced businessmen, academics and professionals to create collaborations that make a tangible impact. This is the Trust’s first project in Gozo. Describing this as a historic moment, President Coleiro Preca said that once again, this project was proof of what could be achieved when different organisations worked in synergy. “The projects undertaken by The President’s Trust will be addressing a void since the Home Support Service was only offered in Malta until now,” the President said, thanking the sponsors, without whom this project would not have been possible. Trust director Sarah Bondin said each of the Trust’s initiative was funded with the support of the private sector, and was researched and costed to ensure its sustainability in making a real difference. The Trust does not replicate work being done by other organisations but identifies existing gaps and creates a safety net for those falling through the system. Richmond CEO Stephania Dimech Sant said the home support service in Malta currently supports 85 persons and enables people to remain in the community while maintaining a good quality of life. Through assessment, intervention, care planning, review and evaluation, home support service provides those struggling with mental health issues with practical and emotional support, and a holistic approach to their care, among others. Gozo Mental Health Association president Pauline Camilleri said: “We are confident that a service with professional individuals supporting people with mental health issues within the Gozitan community will introduce a much-needed support service in mental health sector in Gozo,” she said.